I am looking for some helpful books/tutorials on how to write your own compiler simply for educational purposes. I am most familiar with C/C++, Java, and Ruby so I prefer resources that involve one of those three, but any good resource is acceptable. Haven't read it but Writing a compiler in Ruby bottom up looks promising for you. Dragon Book - Widely considered "the book" for compiler writing. Chris Bunch also suggests to look at the Interpreter pattern in Design Patterns. Modern Compiler Implementation in ML - There is a Java and C version as well. This post originally just had Dragon Book in it, but was modified to include the whole list. So Vijesh is referring to the Dragon Book. Is the C-Python source code something good to look at too? or the Lua source? I've read `Let's Build a Compiler` [http://compilers.iecc.com/crenshaw/] series, it is really nice writeup and is a good starting point. These are nice resources but when it's just a big list like this, I stop getting the Stack Overflow experience and feel I may as well just be reading Wikipedia. A while back I found this article on writing compilers which has links to two resources, Let's Build a Compiler and A Nanopass Framework for Compiler Education. Read it like a tutorial. It uses a subset of Scheme as the input language. I agree that this series is a bit outdated, although it is still useful. However, my biggest gripe with it is the fact that it tries to output straight to assembly language rather than building any type of parse tree, which means (contrary to what is stated in the first article) that it isn't very useful for writing an interpreter. Game Scripting Mastery is a great learning resource because when you're done you will have a playable, scriptable 2D adventure game. This makes every exercise focused on a specific purpose, and keeps the reader motivated. The Parrot Foundation offers a 9-part tutorial on writing a compiler to target the Parrot Virtual Machine. The tutorial uses a simple Lua-like language, Squaak, but Parrot is flexible enough to handle modern OO languages as well. The MSDN article "Roll your own compiler in the .net framework" is a well written, concise and practical starting point. Check out this article: it profiles two papers on writing compilers. Go to the Flipcode article archive and search for Implementing A Scripting Engine by Jan Niestadt, a nine-part series about writing a scripting engine, including a compiler and virtual machine. If you want to use Ruby, look at Treetop, if you want to use Java, look at Antlr. Both are powerful libraries that make it easier and quicker to build parsers for your language. You might be interested in this ONLamp article where Dan Sugalski describes how he built a compiler to add modern features to a 1980s legacy programming language still used by his employer. FWIW at the bottom of this page there is a link to a "C Like" interpreter written in C/C++ and using lexx and yacc tools. I think the C++ version has been updated to build using Microsoft Visual Studio. NOTE: This was my first and last attempt at writing an interpreter so don't expect too much. I wouldn't say "too complicated", I would say "badly written". I asked the same question of a friend of mine, and he pointed me to The Structure and Interpretation of Computer Programs. Any thoughts on this? I'm looking for a nice next step after working through a data structures and algorithms book. 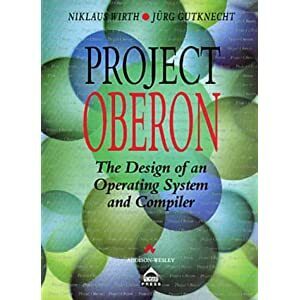 This is a useful book to start thinking about how programs are evaluated by compilers, but it doesn't get into things like lexing, parsing, intermediate representations, or code generation. What does "not quite Java" mean? if you like me, who has no formal computer science education, and interested on build/want to know how a compiler works. I am recommend "Programming Language Processors in Java: Compilers and Interpreters", an amazing book for self taught computer programmer. from my points of view, understanding those basic language theory, automate machine, set theory is not a big problem, the problem is how to turn those thing into code, above book tell you how to write a parser, analysis context, and generate code. if you can not understands this book, then i have to say, give up build a compiler. the book is best programming book i have even read. there is an other book also good, Compiler Design in C, lot of code, tell you every thing about how to build compiler and lex tools. building a compiler is a fun programming practice, can learn a heaps of programming skills. Sorry it is in spanish, but this is the bibliography of a course called "Compiladores e Intérpretes" (Compilers and Interpreters) in Argentina. The course was from formal language theory to compiler construction, and that's are the topics you need to build, at least, a simple compiler. I hear the Dragon Book is a (the?) place to start. Edit: along with searching. :) Get better at searching, eventually it will be your life. If you haven't read the Dragon book. Please don't recommend it. In fact, have you ever implemented a compiler? I wouldn't recommend it for anyone. @Neil: You haven't google'd me, have you? lol. http://blog.280z28.org/ But no, I haven't read that book. I'm reading it (the dragon book) presently, and also Lex/Yacc at the same time, I'm finding the book quite good. Personally. If you like it all well and good. My problem is with people that blindly recommend it whenever the word "compiler" is mentioned. Particularly if they haven't actually read it! Neil, what do you find bad about the book? I haven't read it yet, I just keep hearing it's a good book, until now. To be fair, I prefaced it with "I hear...". :) #1 and #3 are the points I feel are extremely important to know going in but aren't mentioned as often. It's still worth reading the Dragon Book even if you disagree with its approach. Compiler design is a very sticky subject and it's important to understand all the strange issues one has to contend with. Start by making sure you can answer most of the questions tagged c++ here on StackOverflow. After that you should make sure you understand how other compilers work and understand [parts of] their source code. Not to be rude but, it sounds like you probably haven't written a simple compiler. ++ You're right that it's good to know all those things, and it can be a big job, but I also learned from some experts how _not_ to make things a big deal. It's good to know things, and it's even better to know when not to use them, which is most of the time. In order to get a deeper understanding of parsing I recommend to read Parsing Techniques - A Practical Guide and a good book on theoretical computer science. Yes, but not the second edition, which is really better and up-to-date. However, as a parser author you may not need this new information. And yes many people say reading that book is crazy and you wont learn anything from it, but I disagree completely with that. Many people also say that writing compilers are stupid and pointless. Well, there are a number of reasons why compiler development are useful: - Because it's fun. - It's educational, when learning how to write compilers you will learn alot about computer science and other techinques that are useful when writing other applications. - If nobody wrote compilers the existing languages wouldn't get any better. In conclusion: - The Dragon Book is a great "tutorial" But spend some time mastering a language or two before attempting to write a compiler. Don't expect to be a compiler guru within the next decade or so though. Edit: The book is also good if you want to learn how to write parsers/interpreters. I know the website author from my college days, but have nothing to do with the website. ANLTR isn't in here? Wow! Don't forget the book. Parr has a new book as well named Language Implementation Patterns: Create Your Own Domain-Specific and General Programming Languages. I've heard good things about create your own programming lang check it out. Although I haven't personally read it yet, but have a look if you can get your hands on it. $39.99 is pretty expensive for a book of 53 pages, I bought a graphics programming book that has about 1000 pages for the double of that price. A bit outdated, but is fully complete and self-sufficient for starting to code small compiler.